Are you attending NATA Convention in NOLA? 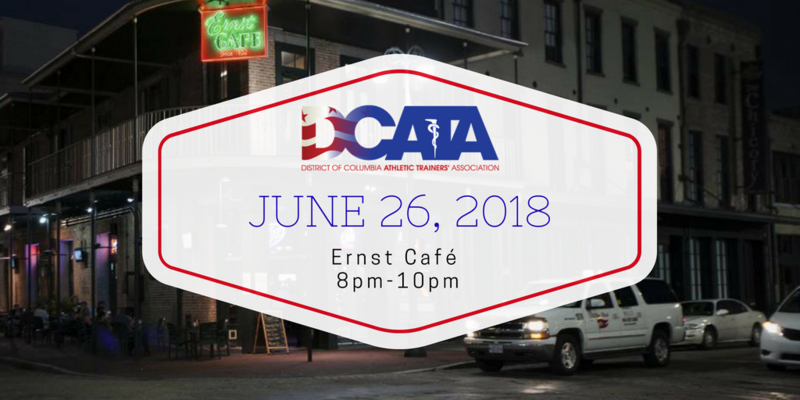 Join us for our DCATA Social at Ernst Café on June 26th from 8pm to 10pm. We can't wait to see you all in New Orleans.